From the many fads that have been happening this year varying from overalls, to the never ending obsession with leggings, and even jeweled headbands, we now have a new fad to follow! Fashion trends are constantly changing which is annoying for us girls, since we have to constantly keep up with the times of Fashion BUT it’s great for us Shopaholic’s on this site to tell you all about it! The era of the Bohemian as well as “Hippie” looks have certainly made their presence know this year thanks to help of fellow celebrities; Vanessa Ann Hudgens, Nicole Richie, and many others. What is great about these looks in general is that there is such a variety of clothes better yet, accessories to play with here! However, there is one piece in particular who has made their way to the top lately… you got it ladies and gentlemen the Hamsa hand! Yes! 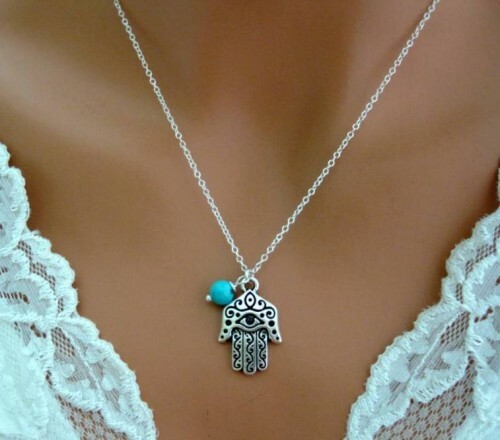 The Hamsa is no longer considered strange or ugly by most individuals anymore. It has finally been recognized as unique, different, and I’ve even heard the word uttered, beautiful! 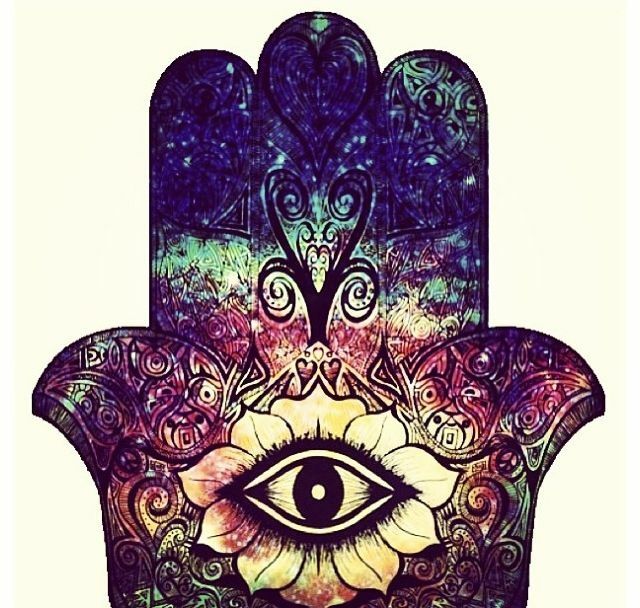 Now, although yes, the Hamsa hand is beautiful, but, it is not JUST because it’s a cool design! It’s time for a little history lesson on this piece my fellow shopaholics! 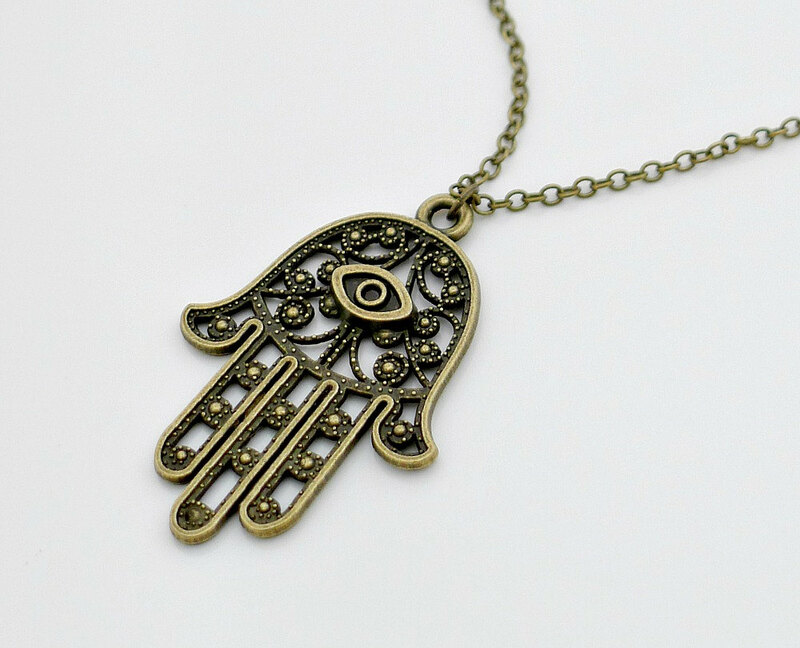 The Hamsa hand is an old apotropaic amulet for ‘magical protection,’ from the evil eye (or the envious)! Many still believe in it’s power today! I know my Grandma sure does, a Hamsa hand was actually my first present when I was born, I still have it to this day! Of course their are other beliefs in the history of this accessory, but that is something for you darlings to explore on your own, I’m just here to tell you how gorgeous it looks and what you can wear it with. 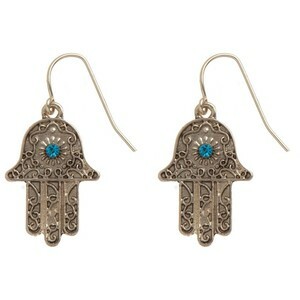 The Hamsa can be worn in a necklace, on a ring, on an earring, but the most popular form right now is on a bracelet. These items can be purchased in almost any clothing store, any spiritual store, and even online! The Young Shopaholic has finally opened their own store for you to purchase awesome jewelry and more! Check out Shop TYS and buy yourself some awesome products! Also check out our last article Shop The Young Shopaholic! to see everything that we are selling thus far! 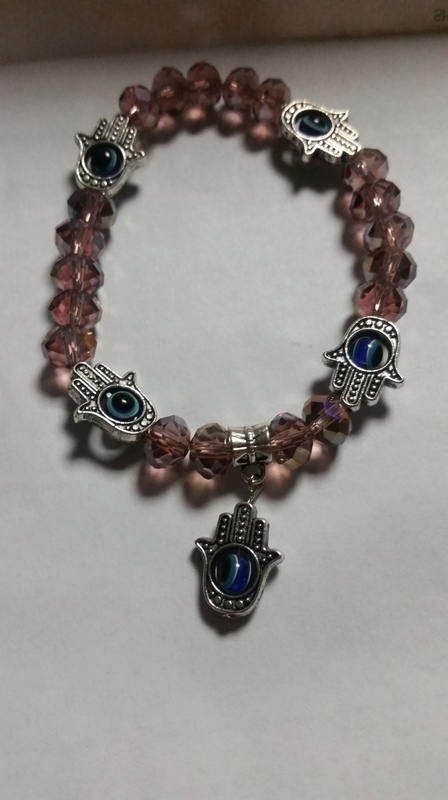 The Hamsa hand is great for everyday wear and looks fantastic with practically anything you wear (depending on the color you choose your Hamsa hand to be). This accessory no longer has to be worn by just one Fashion genre, even someone that just thinks it’s down right adorable can wear it! So come on and expand your horizons and get yourself in on What’s Trending! Do you have a Hamsa hand yet? Have you fallen into this Fashion trend? What’s holding you back? Leave a comment below with your thoughts! Previous Shop The Young Shopaholic! Next Top 10 Halloween Costumes For Couples!